APPEARANCE: Poured a jet black oil slick color, came out thick and gurgling. The hard pour produced a decent sized creamy khaki colored head. Great retention that stuck around through taking pictures all the way until the first drink. AROMA: Big gooey, delectable fresh baked brownies, fudge and chocolate chip cookies. Nice Jameson barrel notes that have a light floral, spicy wood and vanilla swirl going on. Loads of warm butterscotch, carmel and toffee mixed with coffee and heavy cream. Very reminiscent of a Starbucks latte super inviting. TASTE: Barrel notes right away, Jameson has a bit of dry sweetness to it and it comes through on the palate. Slightly spicy with creamy vanilla and oak that gives way to big moist chocolate fudge. The sweetness is balanced out by the mild hop bitterness. I do get a solid bit of booze but I think that it is needed to counter act the sweetness that comes through. The base oatmeal makes a entrance and gives a lovely creaminess that really pulls all the layers together. MOUTHFEEL: Medium plus body with a lazy but present carbonation. The oatmeal gives a silky creaminess that balances out the stickiness from the sweetness. Very long lingering finish that makes you eager for another sip. OVERALL: Perfect beer for St. Patricks day, I paired this with Mint Moose Tracks ice cream and it was perfect. If you are a fan of Jameson and barrel aged stouts then you are in for a treat. A perfect marriage of the two flavors in a easy drinking high ABV stout. 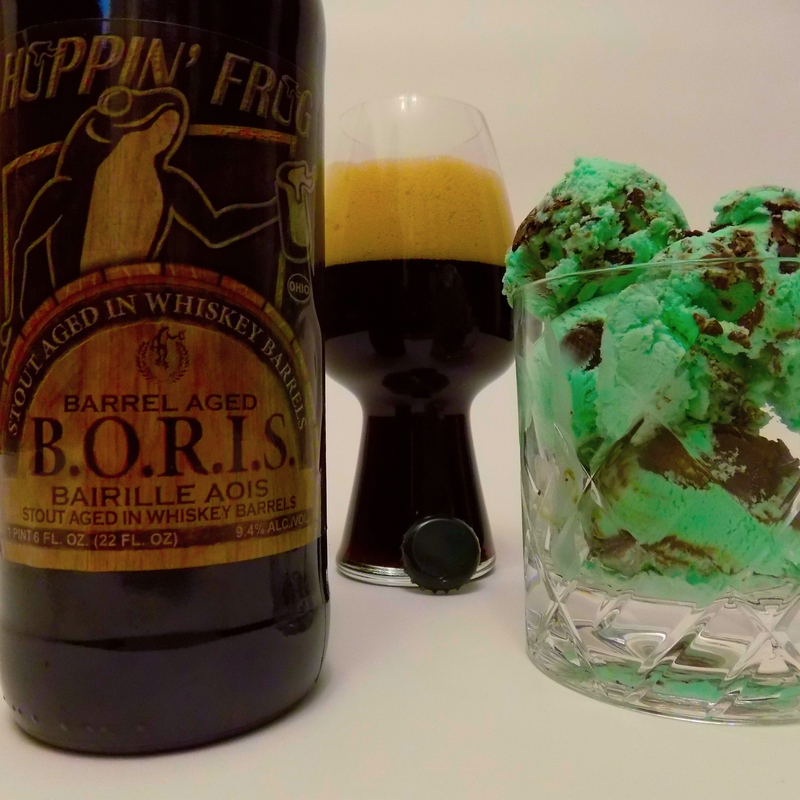 This entry was posted in Beer Reviews, Stouts/Porters and tagged #beer, #beergeek, #beerme, #beernerd, #beerporn, #beerreview, #beerzombies, #craftbeer, #craftbeerlover, #dtlv, #lv, #zombie, #zombies, chocolate chip cookies, chocolate covered cherries jubilee, creamy vanilla, IMPERIAL STOUT, malt profile, Nice Jameson barrel, vegas by beerzombies1. Bookmark the permalink.